Another little throwback review to a great indie read that I discovered almost 2 years ago today as part of an Author/Reader discussion on the TNBBC. I wrote my thoughts out immediately on the novel as I was little taken back by the small, but awesome book. I feel the need to read this book again even though I just finished it. There was so much going on in this short novel that I fear I didn’t fully absorb it all. Having said that, wow! 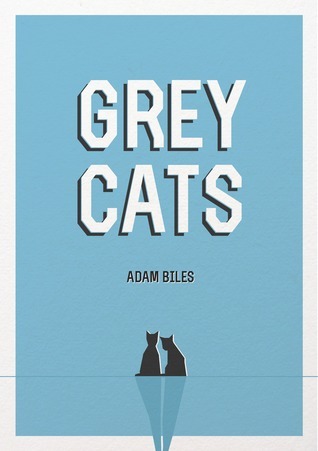 Adam Biles you are a master with words. I thoroughly enjoyed the dynamic and unique metaphors that followed this intriguing plot and I truly appreciated the style and talent of the writing. It was refreshing! This story is philosophical, humourous, tragic and inspiring. The narrator (who is never actually named, nor did I noticed until it was brought up in discussion) goes out at night in his home of Paris to track down his girlfriend, Melina. She regularly goes out like this and up until now the narrator has never asked why, as she is a night person and he is a day person. While out looking for his lover he is shown a whole other side to the Paris he knows by day. The descriptions and scenes are carnival and dream like and they take the reader on a roller-coaster experience that has a shocking ending. This quote, found in the book, I feel describes the narrator and why he is unnamed, as well as Melina and the rest of the lost souls in the Paris night world. They’re hiding in shadows away from themselves and their past the night to search of an identity among others in similar situations in which, the narrator in the end, finds himself through Melina. I also found this book strikingly and peculiarly romantic. The narrator delves into the feelings and details of his relationship with Melina while he is out trying to find her in this world he is not familiar with. He goes over her flaws, how they met, why they work well together and ultimately in the end how much she means to him. These reflective portions of the book felt like the only grounded part of the story as they stepped away from the dream-like adventure he is partaking in. I found that I was able to catch my breath, so to speak, from the rest of fast paced plot in these portions. Overall a highly recommended novella for anyone looking for an awaking read by some fresh talent!